IP protection degree: X-FSC and X-FRZ are classified IP65 with specific cable clamp M20. Enclosure and head in thermoplastic material. 2 snap action switches with 1NO+1NC change-over contacts or slow action switches with 1NC contact. X-FCS features cross rods in 3 or 4 maintained positions or T rods in 3 maintained position, movement every 90°. 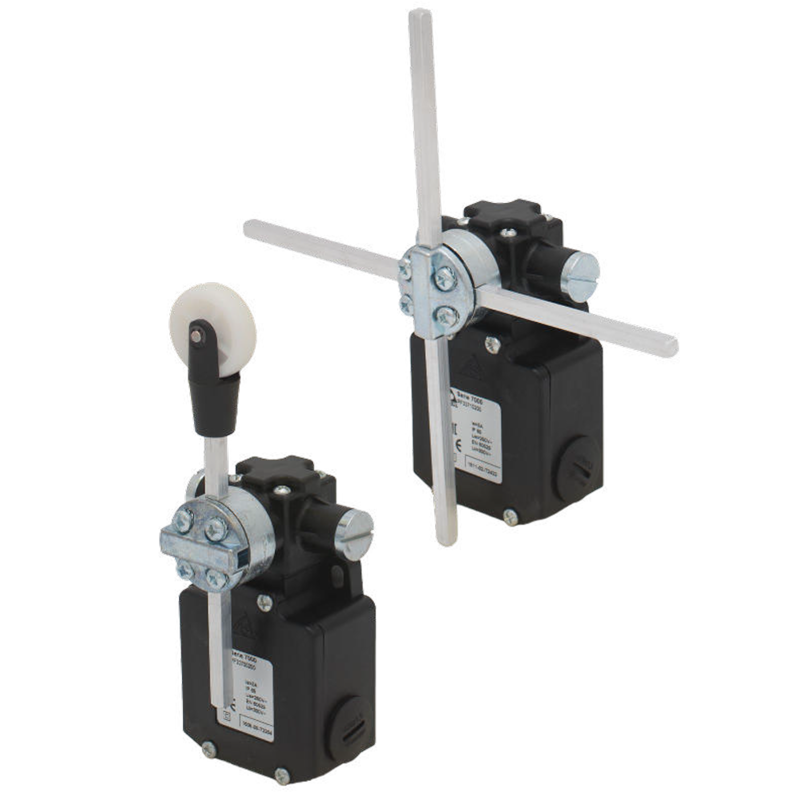 X-FRZ has a single rod or a rod with roller with 65°movements and spring return.